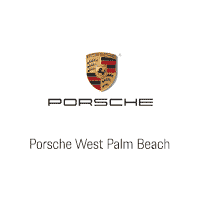 Welcome to Porsche West Palm Beach, your preferred dealer of luxury cars in West Palm Beach. Our showroom is conveniently located at 2801 Okeechobee Blvd. in West Palm Beach, making us just a quick drive from Boca Raton, Royal Palm Beach, Palm Beach Gardens, Hobe Sound, Jupiter, and surrounding communities. At our dealership, you’ll find the entire breathtaking new Porsche lineup, as well as an impressive assortment of used luxury cars and Certified Pre-Owned Porsche models. As your neighborhood Porsche dealer, you can count on us for guaranteed satisfaction every time. Let us introduce you to the car of your dreams – you deserve it. Driven to excite, the Porsche is so much more than an automobile. Once you’re behind the wheel, you become part of something bigger – a secret only Porsche drivers know about. The power, performance, stunning beauty, and elegance are dramatically impressive when viewed on screen, but in person, the Porsche is nothing short of exhilarating. Are you ready to take the ride of your life? From building the car to teaching us every detail of how the car worked. Alexander went above all expectations. He made this whole experience very pleasant and easy. We are so excited to be in our new Cayenne and so pleased with our experience. Sent a hail Mary pass out trying to find a new GT3 Touring by contacting Alexander De Pooter. End to end within 6 weeks I owned the car of my dreams and I'd call the overall experience Thrilling, Which is not usually what a typical car buying experience is! He was simply the finest sales professional I've ever experienced and was able to bring all the resources of the dealership and Porsche to bear to exceed every expectation I could have possibly had. Platinum service through and through! great service! from Ohio and had to get a quick repair on my side mirror...I caused the problem.They got me right in on a Saturday!